Are you still deciding to what to purchase for Mothers Day or looking for something to treat yourself with? Well L'Occitane helps you to celebrate Mother’s Day with a stunning selection of gifts sets from right across their product range. So whether it is a new fragrance, body care, hand cream or some soap gift sets, you will find the perfect present. I have chosen some of my favourite products to share with you in this post. For those who love their skincare and like to look after it, the Ultimate Divine Collection is just perfect. Containing three products that I adore - Immortelle Oil Make-up Remover which is really gentle on the skin but absolutely amazing at removing even the most stubborn of makeup, Divine Lotion which helps to maintain the skin's balance and accelerate cellular renewal, for a beautiful, younger-looking complexion and finally Divine Cream which brings supreme nutrition to the skin and fights all the signs of ageing and it smells just amazing. This gift set retails at £78 but if the products were bought separately then you would be paying £107, so this is an absolute bargain. The Delicious Almond Collection is one I personally want for myself. As someone who hates marzipan but adores the scent, it probably sounds a bit crazy. This set contains four products and again they are ones I absolutely love. A 250ml bottle of Almond Shower Oil which when used turns from an oil to a foam and creates this stunning almond scent which lingers on the skin for hours and hours. Almond Delicious Soap is not just any bar of soap, it is more a pampering session for the hands and can be used on knees, elbows, feet and body if you so wish. Using ground almond shells to gently scrub away dead skin cells, it leaves your hands clean and rough areas smooth. Delicious Hands Hand cream really leaves your hands feeling soft, smooth and nourished and finally Almond Milk Concentrate which not only leaves your skin feeling nourishing, soft and smooth it also leaves the skin looking firmer and re-densified thanks to the action of almond proteins and a silicium derivative. Priced at £42. If hand cream is something your Mum would like, then the Must-Have Hand Trio is the gift you need to purchase. Beautifully presented in a L'Occitane Signature Box, inside are three amazing handcreams - Shea Butter Hand Cream, Cherry Blossom Hand Cream and Almond Delicious Hands. All three of these hand creams have a rich texture which is rapidly absorbed to leave the hands soft and smooth with no oily traces. Make this gift even more perfect by adding the One Minute Hand Scrub, which I adore and you have a beautiful hand pamper hamper. 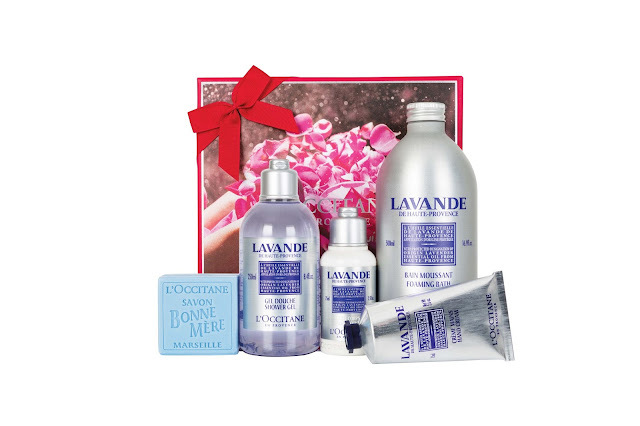 This gift set is priced at £22. Néroli & Orchidée Gift Set is perfect. This collection contains a 75ml Néroli & Orchidée Eau de Toilette, a 250ml Néroli & Orchidée Shower Gel and a 50ml Néroli & Orchidée Body Milk. The scent combines the zesty notes of orange and mandarin, Néroli with Orchidée make this perfect for those who like a mixture of their florals and zesty fragrances. On a first spritz it is incredibly zesty with the Mandarin, Orange and Neroli before settling on the skin to allow the floral notes of white orchids to come through. A beautiful light scent for the Spring and Summer and a gift set retailing at just £42. The final set is one of my favourites again and it is the Relaxing Lavender Collection. With five products included, this is one beautiful set. Starting with a 500ml bottle of Lavender Foaming Bath, this bottle is perfect for adding to the bath to forget about the stresses and strain of the week and it creates lots of bubbles. If you don't have the time for a bath, then the inclusion of a 250ml bottle of Lavender Shower Gel and Lavender Bonne Mere Soap are great for cleasning the skin and relaxing with the scent as it hits the steam of your shower. Then once out of the bath or shower there is a 75ml bottle of Lavender Body Lotion and Hand Cream to leave the skin feeling soft, nourished, moistured and incredibly hydrated. This set costs just £42. As well as these gift sets, there are a huge array of other products to choose from such as Lip Balms, Travel Sized gift sets, Reed Diffusers and many other scents too. What have you bought for Mothers Day? 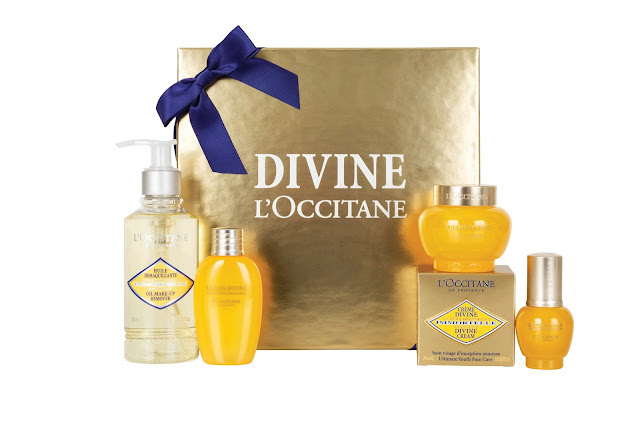 Oh I LOVE L'occitane and would be more than happy to receive this for Mother's Day. These sets look fab Id love to get one on mothers day. how beautiful are these gift sets! Must show the hubby!! hint hint! I am yet to buy a mother's gift for my mum. These gift sets are all so lovely. It is so difficult to choose one. 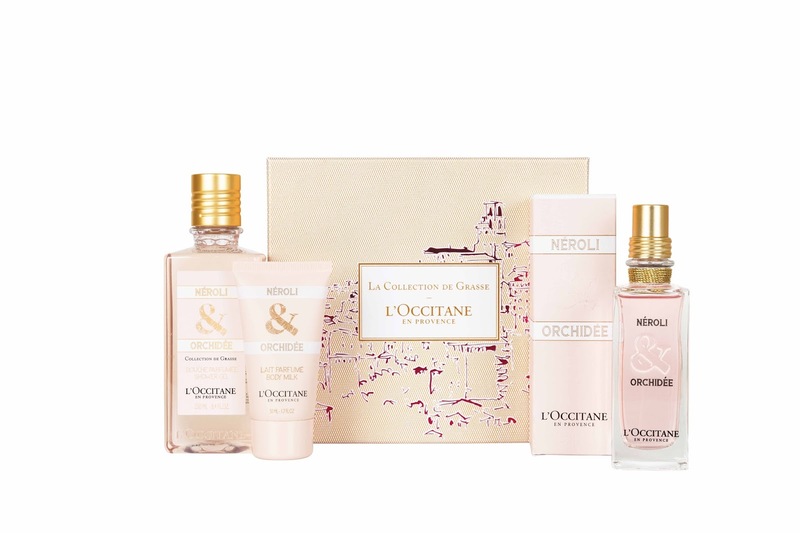 I am sure my mum will love the Néroli & Orchidée Gift Set too. I love the brand too and quite often buy it for mothers day because it just feels like a lovely luxury gift to give out doesn't it? My mother in law loves this brand, I have tried a couple of products and love the scents. I love Loccitane stuff, especially their hand creams so rich and creamy. This year I've got my Mum some Lush stuff, a scarf from Joules, chocolates and a personalised notebook and to top it off I'm treating her to Afternoon Tea on Sunday. I always go overboard on Mother's Day, her birthday and Christmas as she deserves it. i'm doing chocolates and vouchers this year as I bought so much at christmas and that only feels like 2 minutes ago. My Mrs traditionally gets hand cream as a Christmas present. There's so many different types now, all beautifull presented. I think it makes a cracking Mother's Day gift too! Ooooooo all these sets look so great! They are perfect for mother's day. These would make gorgeous gifts. I love L'Occitane products. I love L'Occitane. Their Shea Butter hand cream is my favourite and always makes my wish lists.